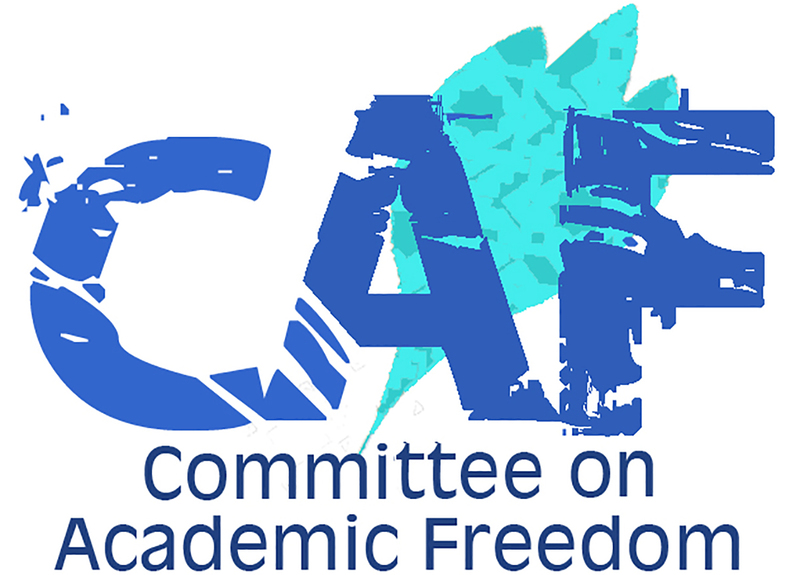 We write to you on behalf of the Committee on Academic Freedom of the Middle East Studies Association of North America (MESA) and the Executive Committee of the Association for Slavic, East European, and Eurasian Studies (ASEEES) to condemn the sentencing of a British PhD student, Matthew Hedges, to life imprisonment for ‘spying’ on behalf of the United Kingdom’s Secret Intelligence Service, after a court hearing that lasted only five minutes and on the basis of an alleged confession that may have been obtained under duress. MESA’s Committee on Academic Freedom previously wrote to you on 21 October 2018 to express its profound concern at Mr. Hedges’ treatment and the severity of the charges made against him. We believe that Mr. Hedges’ conviction for espionage betrays a fundamental and/or willful misunderstanding of the nature of field-based academic research, and that the extraordinarily disproportionate nature of his sentence will inflict incalculable damage on the reputation of the UAE as a safe and welcoming place for students and scholars conducting research in and on your country. Matthew Hedges is a PhD student in the School of Government and International Affairs at Durham University in the United Kingdom. His dissertation focuses on civil-military relations in the UAE and examines how concepts of regime security have evolved since 2011. Mr. Hedges was detained at passport control at Dubai International Airport on 5 May 2018 as he was preparing to return to the UK after a two-week research trip to the UAE. After being taken against his will to Abu Dhabi, he was held in solitary confinement in degrading conditions with only very sporadic access to British consular officials and his family. Mr. Hedges was granted legal representation only on 10 October, more than five months after his arrest, and his court-appointed lawyer was not present when the Federal Court of Appeals in Abu Dhabi convicted him of spying on 21 November. In addition to our concern at the severity, opacity, and lack of transparency in the charges against Mr. Hedges, we are deeply alarmed by a suggestion in Gulf News, a Dubai-based English-language newspaper, that Mr. Hedges may have been reported to the authorities by one of his interviewees. We see disturbing parallels with the case of Giulio Regeni, an Italian PhD candidate at the University of Cambridge, who was reported to the Egyptian authorities by one of his interviewees in January 2016, and was later abducted, tortured, and killed. While Mr. Hedges has, thankfully, avoided the appalling fate that befell Mr. Regeni, we are concerned that other scholars and students may be entrapped by the significant yet undeclared shift in the ‘red lines’ of state security in the UAE. Your Highness, Your Excellencies, MESA’s Committee on Academic Freedom has written to you repeatedly in recent years to deplore the ongoing suppression of freedom of expression, arrest and imprisonment of dissenting voices, including Emirati academics, and the use of security lists to regulate and deny access to foreign scholars and students you deem critical of any aspect of UAE policy. This pattern of activity informed the decision of MESA’s Board of Directors to issue a press release on Deteriorating Security Conditions for Researchers in the United Arab Emirates on 15 November 2018. The statement drew attention to the “worsening situation for academic pursuits and projects in the UAE” and urged scholars and students planning to travel to your country for field research “to take careful note of prevailing conditions, reflect carefully, and exercise caution.” Our concern at the hostile landscape for research in the UAE is reinforced many times over by the decision to sentence a PhD student to life imprisonment simply for asking questions while conducting dissertation fieldwork. We urge the authorities in the UAE to consider the impact of Mr. Hedges’ case and sentencing on the UAE’s heavy investment in branding itself as a regional innovation and knowledge-friendly hub, supported by academic partnerships with academic institutions worldwide. These initiatives have been effective tools of soft power and cultural influence, but the treatment of Mr. Hedges has sent shockwaves throughout the academic community and prompted letters of concern from other scholarly organizations. More than 600 academics from around the world have signed a letter calling for Mr. Hedges’ immediate release, and a petition in support of Mr. Hedges has gathered more than 200,000 signatories. While we welcome reports that your government is considering a plea for clemency lodged by Mr. Hedges’ family, a pardon cannot undo the damage that has already been inflicted upon the UAE as a safe place and welcoming environment for research. We call on you to release Mr. Hedges and reaffirm the right of scholars and students to conduct legitimate academic fieldwork and research without fear of being reported to State Security on grounds that misrepresent the nature and purpose of scholarly inquiry. Matthew Hedges is pardoned. Read more.